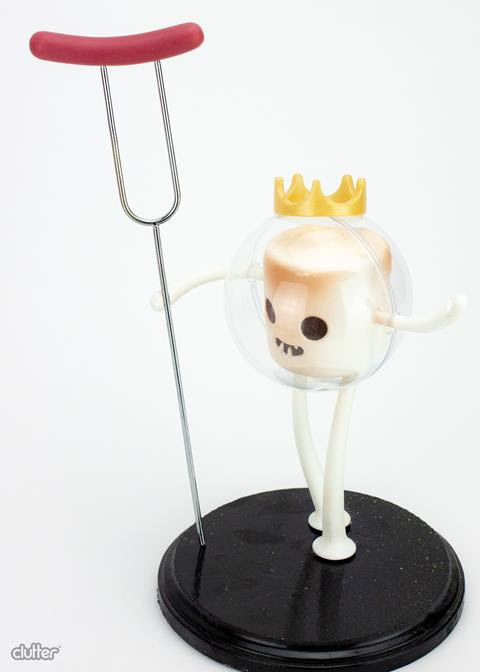 Marshin’ King by Jason Freeny x Clutter Studios! The Marshin’ King is invading the Earth and is ready to toast some dogs with the human race! 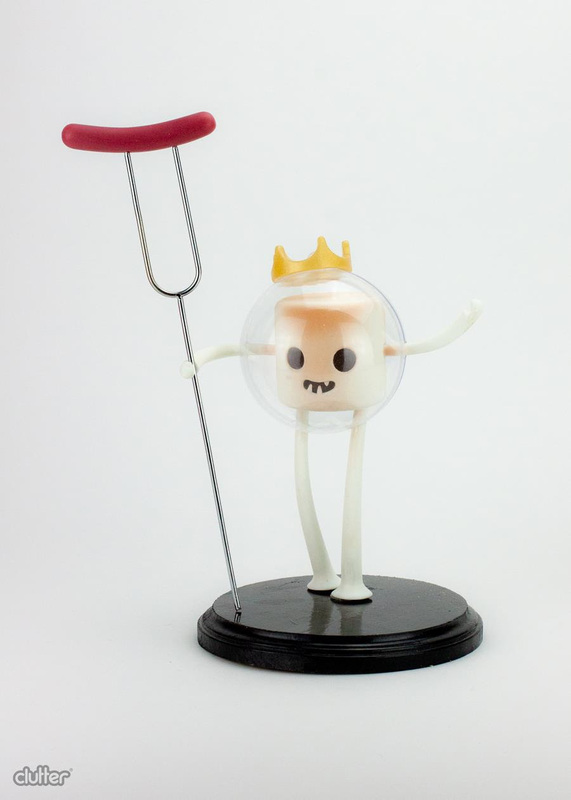 Based on Freeny’s original sculpt, this intergalactic being stands at 8″ tall, and arrives displayed on 6″ wide hand-painted base. 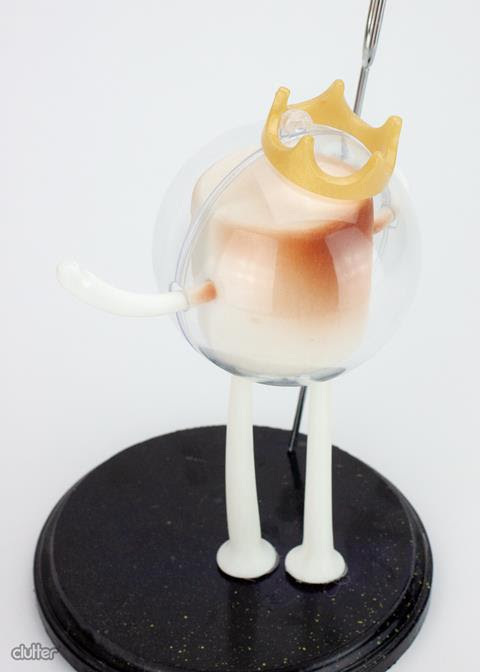 Produced in resin, these beauties are limited to an exclusive run of 10 pc! 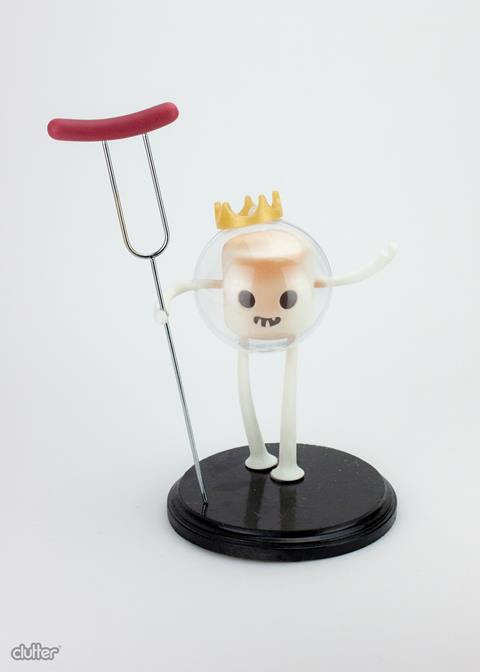 Jason Freeny is a New York based sculptor and toy designer. 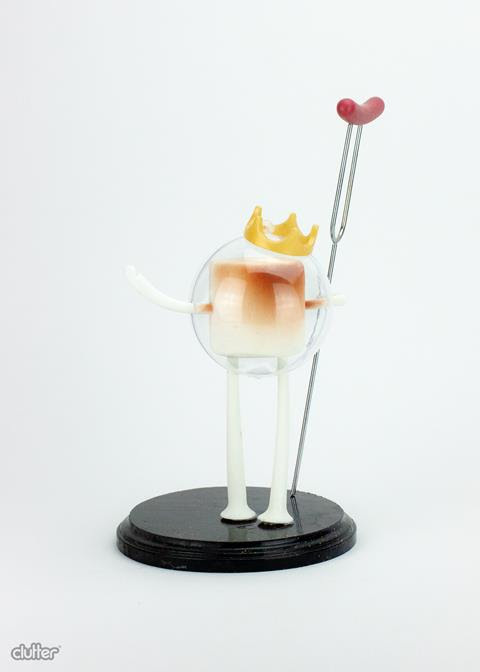 Voted “2014 Fan Favorite” by the Designer Toy Awards, Freeny blurs the lines between toy design, art, science and teaching. Known for his iconic anatomical character dissections, Jason utilizes his industrial design prototyping techniques to create hyper-polished, hand made sculptures that are often confused as actual mass produced toys. Openly displaying his process and techniques in extensive work-in-progress posts on social media as an online classroom.